With the advent of the Internet, the demands made on the modern educational infrastructure have become ever more severe. Thanks to the fast paced world around us and opportunities available, students require a greater flexibility in their courses, their schedules and their technology. Outside of the computer lab, here are a few ways students expect to see technology in the class. Mobile, Integrated, Cutting Edge Interfaces – This means that students want access to the class, no matter the time or their location. Wherever they have an internet connection, students appreciate being able to access discussion boards, reporting, online tools and a classroom response system. These are the bare minimum, and the technology can support far more. Less Disruptive, Disinterested Students – While technology brings many great benefits, it also allows the less disciplined to engage in counterproductive activities during classroom time. Real students are looking for valid ways to avoid distractions and concentrate on their studies. 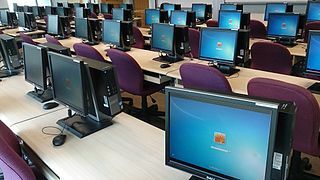 Off-Site Access – Modern students, especially those that are connected online, want and need the versatility that our present technology affords. And, most importantly, they want it where and when they want it. We live in the age of technology, and our students are veterans. They’ve grown up with and have seen more technological advances and breakthroughs than anyone. So, make sure your lesson plan and teaching style fit their expectations and needs by using these helpful tips. For more about these and other teaching tips, please contact us at Labyrinth Learning.